Coke-and-Pepsi style competition between Ford and Chevrolet in US was in full swing in the 1960s. Sure, there were manufacturers from Europe and Japan, but none of them were even close to the fanatic cults the two Detroit giants were in the states. In 1965 Ford threw a painful blow at Chevy by introducing the Mustang. 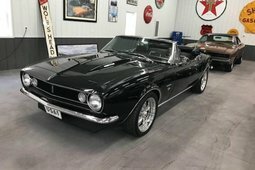 Ribbon-badged automaker was caught totally off-guard, not only the concept of a pony car was completely novel, the Ford’s baby was selling like a champion. Something had to be done and fast. 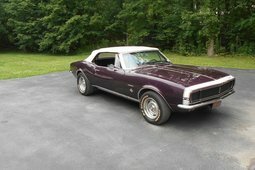 In reality, first generation (1967-1969) Camaro was not exactly devouring the Mustang, it was merely catching up after Ford’s head start. Despite being late to the party, Chevy’s pony car offering had a lot going for it. It had competitive engines, going all the way up to the mental 396 CI big block V8 with 375 BHP, or a sportier small block 302 CI Z/28. All that was wrapped in a rather gorgeous body. There’s no denying Chevrolet’s designers nailed it by giving the Camaro a recessed square grill-and-headlight combo, wide stance and curvy hips. Just looking at it left no doubts about the car’s sporting credentials. 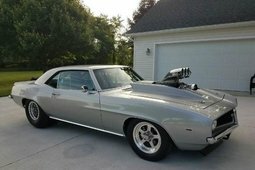 Ultimately, that’s what the Camaro is about – the looks and the motor. 1970 saw the introduction of a new model. With Ferrari-inspired styling and mighty V8 engines, the newer model was not lacking in power or looks departments. Overall, it was much more thought through the model as the development did not have to be rushed this time around. Unfortunately, the regulations caught up with the Camaro somewhere along its 11-year production run. Emission standards muzzled the performance while mandatory bumpers spoiled the looks. 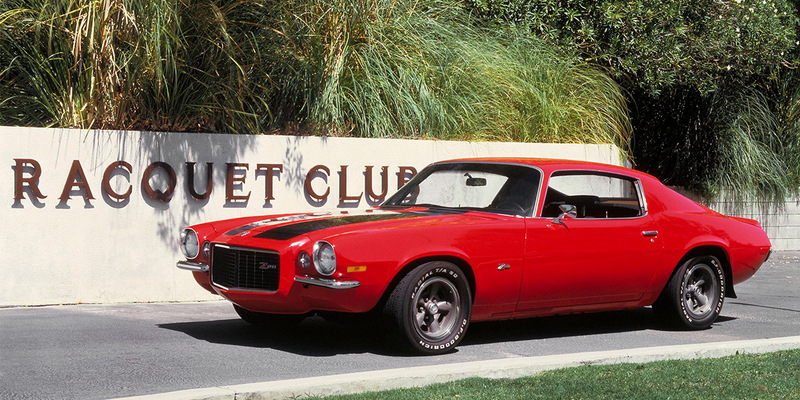 It was a high time for the reinvention of Camaro when the 80s came around and Chevy did exactly that. 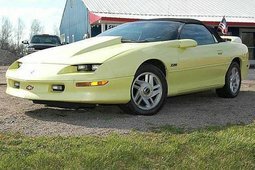 If the second generation was rock’n’roll, the third iteration was pure heavy metal and mullets with its wedge-shaped styling and an optional T-top. The motors on offer were not as powerful as they were just a decade earlier, there was a lot less mass to haul around, as the Camaro lost around 230 kilos compared to the previous generation. The cheapest option came with a not-so-punchy 4 cylinder 2.5 Iron Duke motor. On the other end of the spectrum was the IROC-Z, but even sporting a 5.0 or 5.7-liter V8 it only produced just a bit north of 200 horses. It was all down to those damn regulations, and Camaro’s arch nemesis Mustang had much the same struggles. The fourth generation was more of an evolution rather than a revolution. Underneath the sleek looking shell was the old live rear axle and pushrod engine affair. Although being fairly modern on the outside, this car was sure to give you the old razzle-dazzle. Especially considering the power levels of all motors were up again. 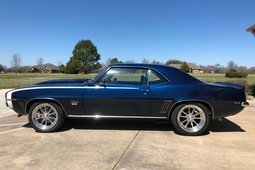 This generation saw an introduction of Chevy’s notorious LS1 (5.7-liter, 305 BHP) motor range. 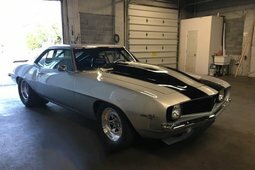 Small in size and weight, these small block V8s pack quite a punch and are among the most loved or loathed motors in the world due to people putting them into every car imaginable. Unfortunately, even the hike in power did not appeal to the American public as much as it used to and Camaro’s production came to a halt in 2002. Once more, there was no competition for the Mustang. GM’s pony car made a roaring comeback in 2010. 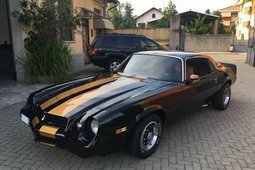 Actually, the public was teased with the new retro-inspired Camaro in 2007 Transformers film, where a yellow Camaro named Bumblebee became an Earth-saving robot. 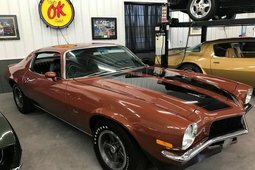 Internally, it was a brand new car-sharing no parts with its predecessors, while the exterior harked back to the first-gen model. This time, gone was the archaic live rear axle and the engines were more powerful than ever. In 2015, a new, now the sixth generation came out, ever so slightly better than the previous one. 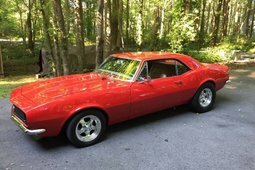 While Camaro started out as a rush attempt to match Ford’s efforts, it is now a full-blown American icon in its own right, giving the Mustang a run for its money in terms of sales and performance.